Arthur Pyment came to Chipping Campden in 1902 with the Guild. His father James, ‘Jim’, was a cabinetmaker and senior member of the Guild. After leaving Campden Grammar School, Arthur joined the Guild as an apprentice carpenter and cabinetmaker. He enlisted in the Royal Flying Corps in April 1915 as an air mechanic and arrived in France in May 1915. He served on the Western Front for over two years, rising to the rank of Sergeant Mechanic. After discharge in 1919 he returned to Campden to join his father Jim (who had bought the Silk Mill after the Guild disbanded) and his brother Harry, to work in the family business, J.W.Pyment and Sons, builders, cabinetmakers and ecclesiastical woodworkers. From 1919-1939 Arthur was a Special Constable in Campden, and was an Air Raid Warden during the Second World War. He is buried in St. James’s Churchyard. Born in Bow, London Harold Pyment came with his family to Chipping Campden with the Guild in 1902. After leaving Campden Grammar School, he joined the Guild with his brother as an apprentice carpenter and cabinetmaker. He was also a regular member of “H” Company, 5th Battalion, Gloucestershire Regiment, the local company of the T.A., spending much time training on the rifle range in Broad Campden. Harry immediately volunteered when war was declared and arrived in France at the end March 1915. He served on the Western Front in and around the village of Ploegsteert (‘Plugstreet’ to the soldiers), before being moved south to the Somme in July with the rest of the Campden men in the Glosters. After returning to England in November 1915 when his period of service with the Glosters expired, he enlisted with the Royal Flying Corps in 1916, as his brother and other Campden man had done. 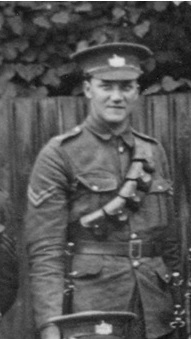 Serving on the Western Front with 36 Wing, RFC, he rose to the rank of Sergeant Mechanic and was discharged 28 Feb 1919. Returning to Campden in 1920 he joined the family business. During WWII he was Head Warden in charge of ARP Services in Chipping Campden. Like his brother he is buried in St. James’s Churchyard. Son of the Guild’s woodcarver (also described as ivory carver) Herbert Osborn, who had moved from London in 1902 to join Ashbee. The family lived on Watery Lane and Fred went to Campden Grammar School, but returned to London after the Guild disbanded. 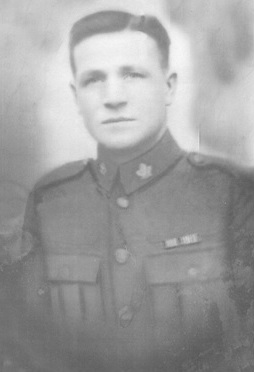 In 1913 Fred emigrated to Canada, followed by his parents and brothers in 1914. “Don’t worry about me darling mother or call me a fool as I would have been drafted after Christmas anyway. Perhaps I may be foolish but God knows I am no coward and I’ll stick it to the last”. His brother Bert was an accomplished engraver who engraved many of the Mother’s Silver Crosses that were sent to families in Canada, of men killed in the war. Born in Chipping Campden, Wilfred worked at Campden House as a lad and then as an Office Boy at the Guild. He left Campden in 1908, emigrating to Canada. When war was declared he was one of the first to enlist when he was 23 years old. 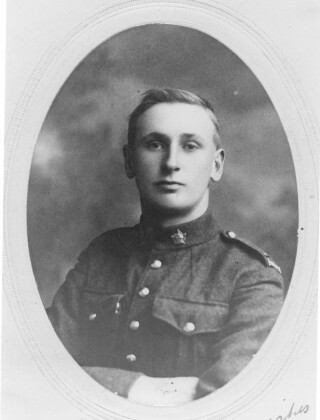 Arriving in England on 21 October 1914, Wilfred was a member of ‘The Old Original’, the first contingent of Canadian soldiers to go overseas during the war. He arrived in France on 11 February 1915 and served on the Western Front until he returned to England on 2 March 1919, having risen to the rank of Sergeant. He had been present at all of the major battles that the Canadian Expeditionary Force fought in, including Givenchy, the Somme, Vimy Ridge, Passchendaele and Amiens. In late 1918 he had been awarded the Military Medal for distinguished service in the field – the award was announced in the London Gazette on 3 July 1919. 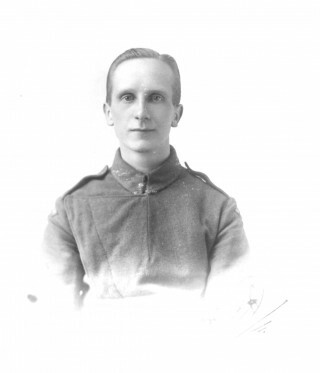 He returned safely to Canada in 1919 after serving for 4 years and 201 days and not a day in hospital, although he had suffered a lasting injury to his eye in 1916. Born in Badsey to William and Rose Warmington, the family moved to Sheep Street, Chipping Campden in 1904. After leaving Campden Grammar School Harry became a silversmith and, with his brother Joe, joined “H” Company, 5th Battalion, Gloucestershire Regiment. A member of the Territorials since 1912, he was immediately mobilised when war was declared. He served in Belgium at Ploegsteert and on the Somme in France before requesting to be transferred to join his brother in the Royal Flying Corps in 1916. He became an Air Mechanic First Class, serving in France before returning to England to marry Elizabeth Salmon from Clifford Chambers on 5 August 1918. Discharged on 15 March 1919, he returned to Chipping Campden where he lived variously in Sheep Street, and at Little Broadwell, Landgate Cottage and Clifton Cottage, becoming an expert silversmith, goldsmith and engraver. George Hart described him as “one of the finest silver and goldsmiths in the country”. He was the metalwork instructor at the Campden School of Arts for twenty years and continued to work at the Silk Mill until he was 70. ‘I take stock of this terrible year, one would blot it out of one’s mind, but how can one when it is branded in. Work is no more and the joy of life – its abandonment gone. As for the guild it is hanging on by a thread. This week the blacksmiths shut up their shop and went their way, one to London, the other (W Thornton) to Birmingham, to make ammunition, a shop in which there has not been a day’s idleness for 25 years. The boys of the Guild went first to fight, Mark Merriman out of the enamelling shop, Ren Huyshe from the silversmiths’ shop and then Harold and Arthur Pyment from the wood shop. Then Ted Horwood’s boy went and then Ted Horwood himself and is now in Egypt….. Will Hart went and got his captaincy in the 11th Warwicks. This page was added on 28/11/2015.